Need bonding for your subs? Send them to Surety Bond Girls! We will work with them to secure bonding. Surety Bond Girls is one of the few agencies that has a role in all of your contracting needs from new SBA forms, bidding, permit expediting to bonding lines. We like to build our contractor relationships with personalized service. We have a special program to assist contractors with the Georgia General Contractor Licensing process. So, if you have been contracting "under the radar" and have the desire to get legal so you can bid on and get larger contracts...call us today! Our concept is simple, you focus on your expertise and we will focus on ours! ​​Call us to inquire about your particular specialty! We can write bonds up to a 3 year term and greater if an annually renewable bond form is allowed. Call us today to discuss your Subdivision & Maintenance bond needs. We will do our best to get you an approval through a non-standard market while working with you along to way to help you get your business positioned for the future. Surety Bond Girls, LLC is licensed in the State of Georgia and South East to write Contract Surety Bonds. Our promise to you is to deliver the best in customer service, quality products and convenient expediting for your last minute needs. No worries, we are partnered with many Companies that are ready to support you- A rated paper and SBA approved. Do you have an established Surety account? Contact us today to inquire about our no hassles fast track programs. We are pleased to announce a limited agent access program to get you the lowest rates! We don't stop with just your bonding needs. No time to file that bid or find a Notary? 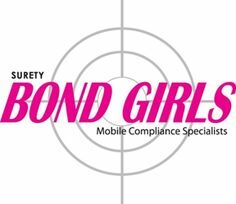 Surety Bond Girls will always help in that area too...we can even drop off/ pick up a permit or two! Our specialized permit agents work hand in hand with your Obligees! Surety Bond Girls' commitment is not focused Nationwide but on our local neighbors in the communities in which we live. That is why our repeat clients trust their bonding and compliance needs to us.